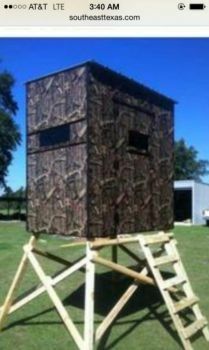 We offer deer stands and blinds to make that hunt more enjoyable. ï¿½Your comfort will depend on a good deer stand. ï¿½Let us make your next deer stand to shoot your next trophy deer.